I have never put great stock into beauty products. Sure, I use moisturisers and have made my own salves and balms before. I’ve used lip balms, facial masks and cleansers. Except for the organic items I made myself, I noticed no difference in my skin after using many high priced creams and toners and peels. Thus, when Oz Naturals contacted me to see if I would review their products, I said of course, not expecting anything from the products themselves. I did some research while I was waiting for the products to arrived in the mail. All of the reviews I read were highly positive. The products claimed to do what seemed impossible to me, given my previous experience with face creams and liquids: brighter, healthier skin with a radiant glow. It seemed too good to be true, really, but I was open to trying the serums. When your skin is looking dull and unhealthy, no other product can provide the radiant glow our Vitamin C Serum delivers. It goes on light and absorbs quickly. Leaving your skin renewed and vibrant. Our HA serum deeply hydrates and plumps skin to diminish the look of fine lines and wrinkles. Also, rich with antioxidant vitamin C, this formula leaves skin soft, smooth, and rejuvenated. Well, I can state the both products did all that was promised and more. 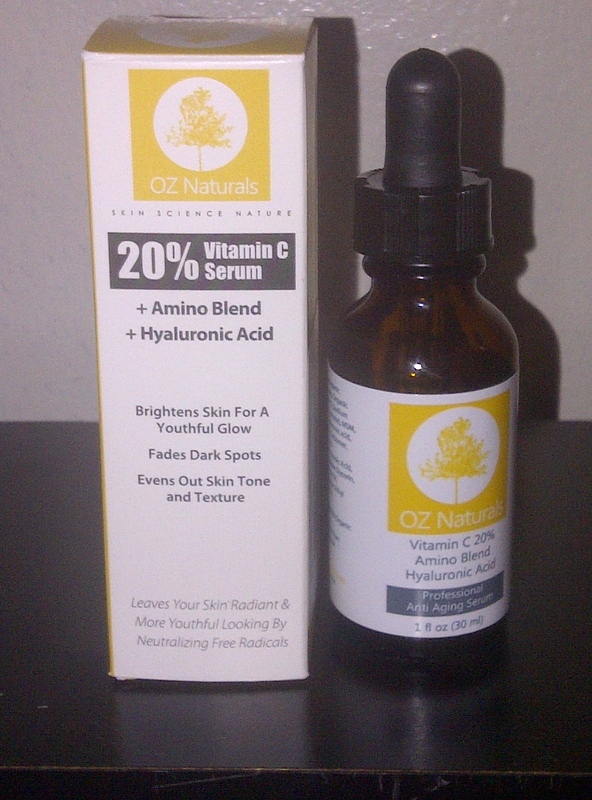 In order to give each product a fair shot, I used the 20% Vitamin C + Amino + Hyaluronic Acid Serum on most of my face and neck. 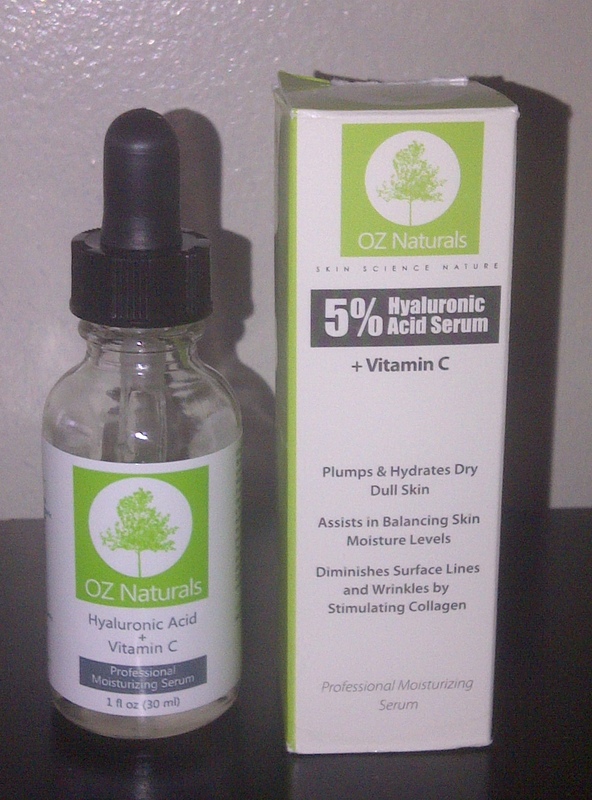 I used the Hyaluronic Acid Serum + Vitamin C underneath my eyes and on my facial lines. My skin was dry and flaky before, with red patches. After only one use, my skin was brighter and more vibrant. It doesn’t sting at all and I could actually feel my skin tightening after each use. It looks fuller and healthier and radiant. On another plus side, I can use the serum even after shaving with no redness or stinging or discomfort. Any lines I had have lessened or disappeared completely. I noticed two things in particular with this serum. I’ve had dark circles under my eyes for years that no amount of eye rollers or creams could get rid of. After one week, I noticed a reduction and now the dark circles are gone. Even more than that: I have one facial scar along my nose that I sustained during an accident. The scar has gone down considerably and it healing at a remarkable pace, even though it’s several months old now. The redness has left the area around the scar and the skin there is looking healthy. I also have a cyst underneath my left eye. I’ve had it for years and have even considered surgery to have it removed. The Hyaluronic Acid Serum + Vitamin C has made that thought unnecessary. The cyst has decreased in size and is almost gone now. 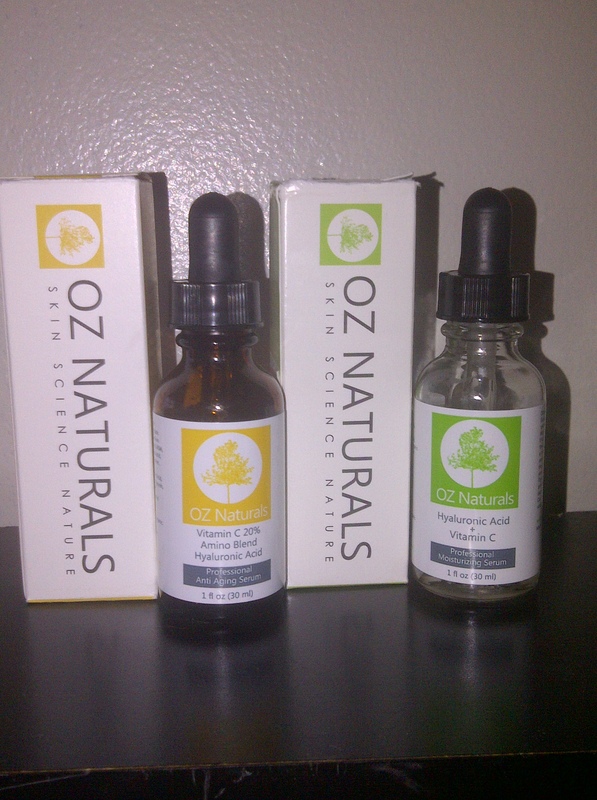 I’m so impressed by the Oz Naturals serums that I wouldn’t just call them Vitamin C Serums. I would call them Miracle Serum’s. They really do everything they promise they will. They’re made with vegan formulas so they are safe to use on your skin and work to repair your skin almost instantly and then over time. I’m so impressed with the serums that I’m going to see what else Oz Naturals products are available and start taking more serious care of my skin. Beauty takes work, but I’m worth it and so are Oz Naturals.